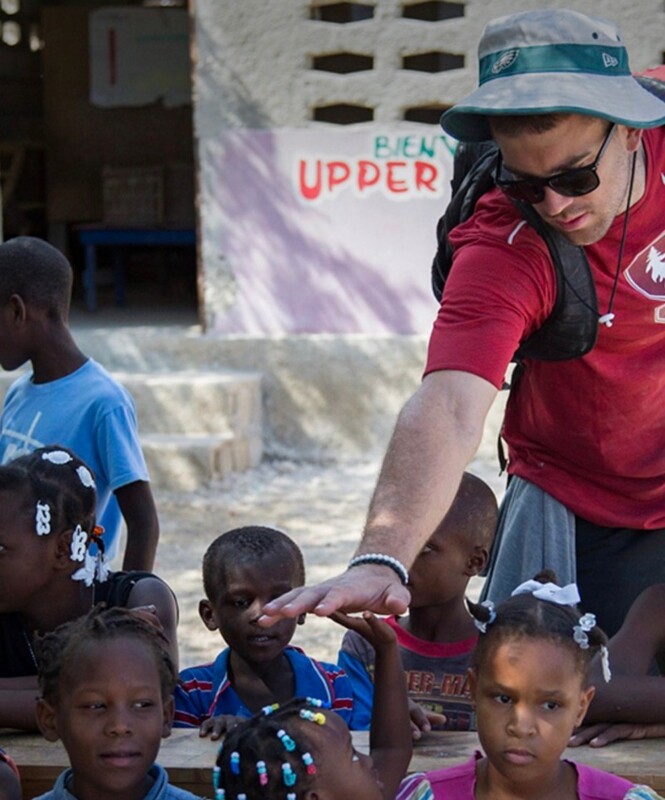 The most impactful moment in my career came on a trip to Haiti last year when I saw firsthand that I could use my platform on the field to make substantive change in communities off the field. Seeing children have better opportunities is the most important thing to me. 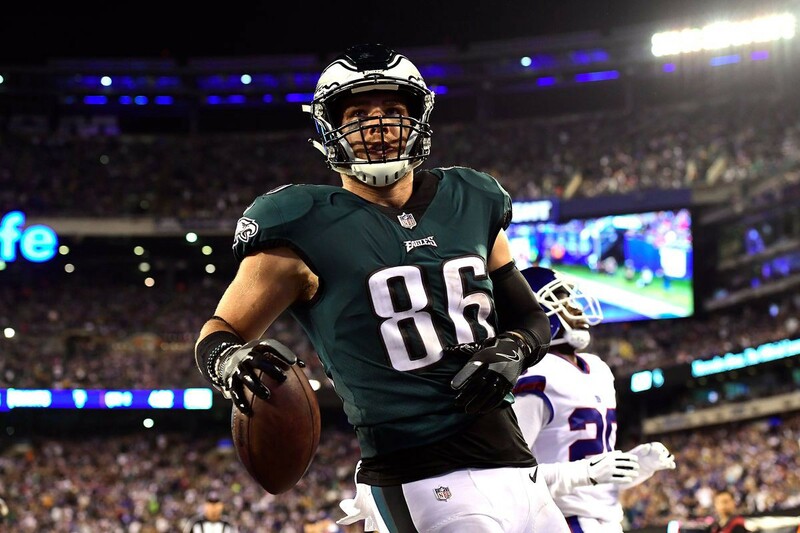 As a part of my series about sports stars who are making a social impact, I had the pleasure of interviewing Zach Ertz, a Pro Bowl tight end for the NFL’s Philadelphia Eagles, scored the winning touchdown in the 2017–18 Super Bowl. His wife Julie Ertz, a highly decorated defender for the U.S. Women’s National Soccer Team, was a member of the 2015 World Cup championship team, and the 2017 U.S. Soccer Female Player of the Year. Married in 2017, they share a devotion to their religious faith, a love for athletics and competition, and a desire to help improve the lives of people around the world. 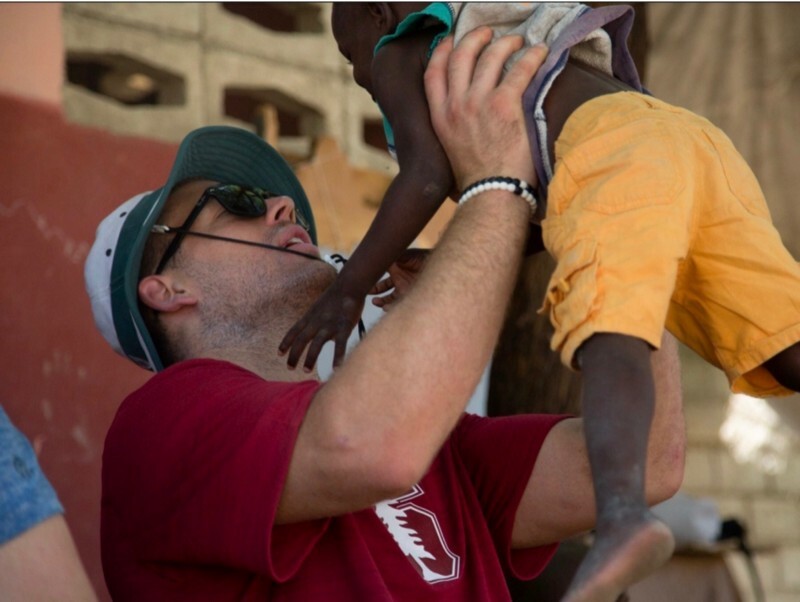 In 2018, Zach and Julie founded the Ertz Family Foundation based on three pillars of service: Creating sports opportunities for those who lack them, providing educational opportunities for youth of all ages, and restoring a sense of hope and opportunity for families who need it most. I was very fortunate to have several mentors in my life that believed in my ability on the football field. It was their support that made me believe that I could do it too. Stay focused, believe that you can achieve at the highest level, surround yourself with others who believe in you, and do not stray from your goal. Brent Jones was that person for me. He started coaching me in high school and told me that I could be an NFL Tight End someday. He was a very famous Tight End for the 49’ers and he believed in me. It made a huge difference in how I saw myself and my own success. We are honored to be working with several media partners in Philadelphia and California and utilize social media and our Foundation’s website, www.ertzfamilyfoundation.org, to raise awareness and support for our mission. Julie and I were very fortunate to be mentored and supported in both our education and sports, so we wish to give others the same opportunities that we had. What are your 3 things I wish someone told me when I first started” and why. Please share a story or example for each. Football should not be your source of identity. This one is important to me because I am much more than the player. My faith, my wife, my family, and the work I do off the field is paramount to feeling whole. Having success as a team is much more fun than having individual success. I have learned this lesson through the many wins I have experienced as a team. Make sure you dedicate yourself so you don’t have any regrets. Being an NFL player is a very short window in my life. I want to look back when I am done and know that I was the best teammate and player I possibly could be. Education and access to youth sports is the most important movement to me because it is critical for learning and being part of a team and creating a sense of belonging. Giving kids hope through access to education and sports and all the life lessons you learn from them is what makes me feel so fortunate to have this platform. “Don’t mistake activity for achievement,” John Wooden. I have focused my own efforts in my life based on this quote because I think it’s very important to make every minute count in your quest to achieve your goals. I would love to meet Lee Strobel, author of several Christian books. I would like to sit down with him and discuss his journey from devout atheist to a Christian author who uses his platform to prove the existence of God and Jesus. Thank you so much for these amazing insights. This was so inspiring.